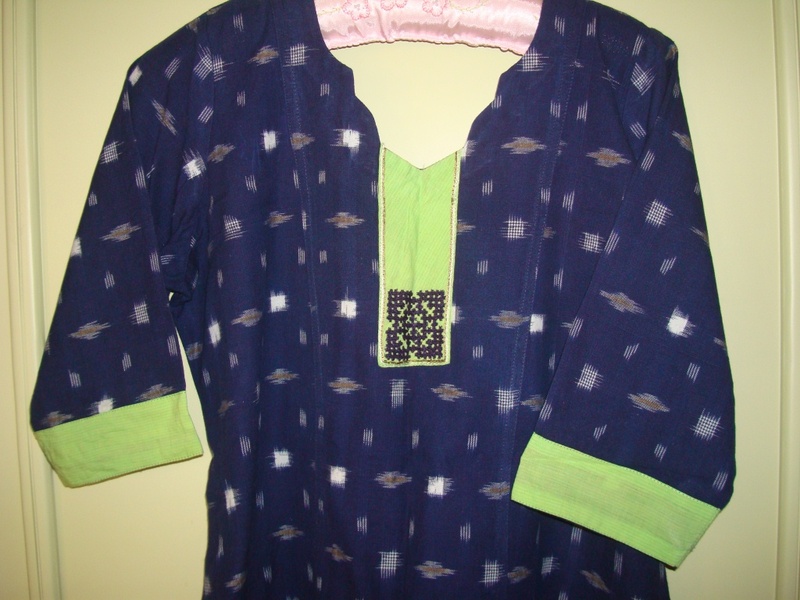 I had seen contrasting printed fabric used as sleeve border and yoke on some tunics. the tunic looked very elegant.They had used block printed fabrics for applique. The tunic fabrics were neutral in colours with minimal pattern on them. I had a woven ikat cotton fabric in navy blue. 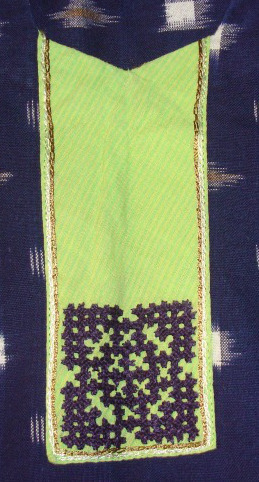 Instead of using printed fabric, I chose fabric in light green[?] 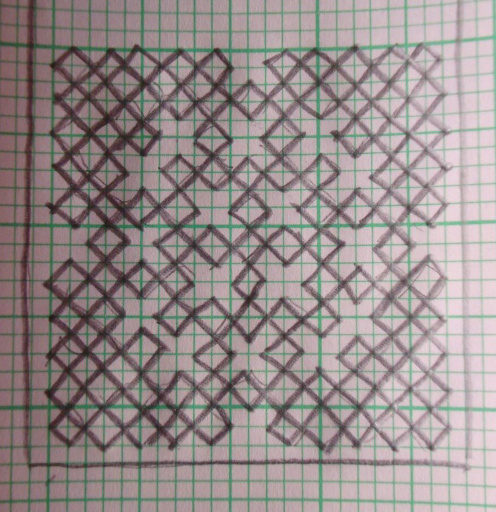 to work a square kutchwork motif for the yoke. Three strands of navy blue cotton skein was used for the motif, white and dull gold colour threads were used for the outlines. I was not too happy with the fabric chosen for the yoke and sleeves. With this tunic fabric, there were many choices better than this. Maybe, I wanted to use this fabric for something and it ended up with this tunic. I wear this tunic with blue jeans.